From the pro-theory side, we have Chris Foresman from Ars Technica, who reports via anonymous sources, and some thorough independent digging, that Apple will unveil the “GarageBand for e-books,” specifically e-textbooks. The alleged app will make it as easy to create an interactive digital textbook “as creating a song in GarageBand.” This, says Foresman in his headline, has the ability to “digitally destroy” the textbook industry. Foresman cites Matt MacInnis, CEO of digital textbook company Inkling, which has more than 100 textbooks available for the iPad. MacInnis confirms the “GarageBand for e-books” theory, but adds that, “practically speaking, Apple does not want to get into the content publishing business.” That is to say, Apple does not want to become Amazon, and go after textbook publishers by offering a cheaper product than they can possibly deliver. Instead, Apple wants to create the tools for publishers to be able to create great interactive textbooks, which will presumably be available only on Apple’s products. It’s the iTunes/iPod strategy all over again. Even if that’s what Jobs believed, the evidence doesn’t support the theory that this is what Apple plans to do. In other words, either Foresman or one of his editors is trying to pull a fast one on readers by slapping a sensationalist headline on a story that delivers nothing close to what it claims. This point — that Ars got it wrong, in this case — is echoed by Fortune’s Philip Elmer-Dewitt, who also interviewed MacInnis about Apple’s Jan. 19 plans. MacInnis here confirms that “Apple is not trying to kill the incumbents.” It simply wants to make it easier to create quality content that can be served up on its iPad, thus making the iPad a must-have tool in the classroom, which would further boost its sales. Assuming the “GarageBand for e-books” app is real, it also wants to sell that to textbook publishers, thus raking in even more cash. 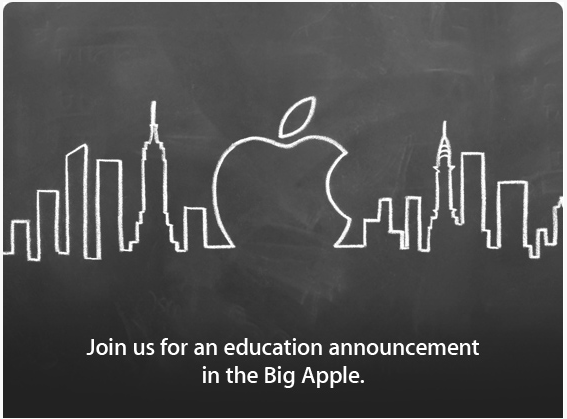 The theory that Apple is working with, not against, the textbook industry is further corroborated by the Wall Street Journal, which reports that Apple is partnering with publisher McGraw-Hill, which will be present at its upcoming NYC event. Many students may believe that the textbook industry needs to be destroyed. With current tuition costs somewhere past Neptune, being hit with a $1,000 textbook bill every semester is a painful low-blow. So if Apple can make it possible to spend $500 once, on an iPad, and only a fraction of the cost on textbooks — textbooks made for a multimedia age — every couple of months, that would likely be a welcome change for students and parents. In the end, nobody’s sure what Apple will release. And, like always, we’re just going to have to wait to find out. Once that happens, then we can start to debate the consequences of the company’s next big thing.